If you want to race, then Dart 18 or it's smaller version for single-handing the Sprint 15 are good options. If you just want to cruise, have a look at the Dart 16. Completely different to the 18/15, it's bulletproof, very stable, easy to single-hand but can carry 3 or 4 at a pinch. There are loads around & cheap now. 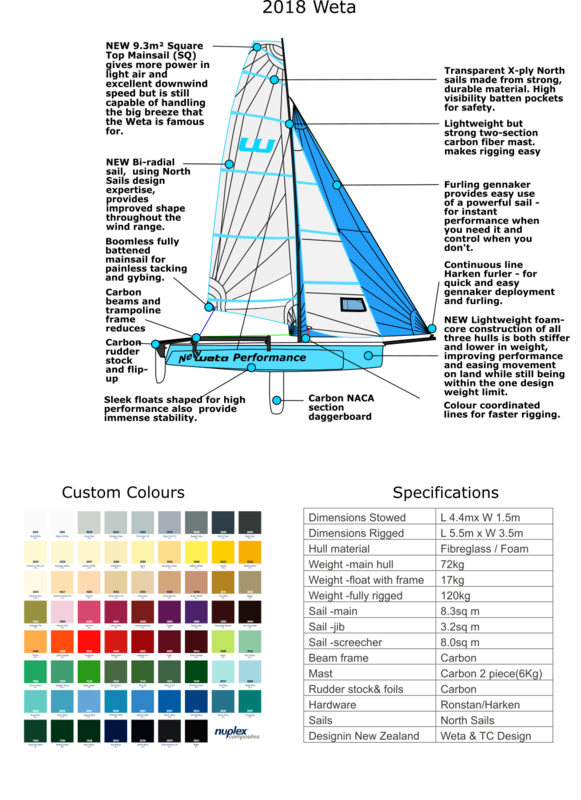 There is also a spinnaker option. Falmouth pretty much perfect for cat sailing - very envious! Restronguet sc is a bit of a stronghold of the dart 18, usually get 4-6 out regularly club racing and equally many pottering. There is also a young family there with a dart hawk, dad and a couple of kids, out quite often, which seems like pretty good bang for buck. You also have windsport catparts on the doorstep for any bits you might need. Usual answer, sadly... Go sail them all! Windsport should be able to provide lots to try, and you'll have lots of fun doing it! Maybe I'm overly cautious, but I wouldn't suggest a Formula 18 as a first cat, especially if you want to single-hand sometimes. But as said, have a chat to Brian at Windsport if you haven't already. Go and sail them , the usual sensible advice I can’t argue with that . Is the dart 16 a GRP hull. I have looked about for a formula 16 and all that comes up is a Hobbie tiger 16 ,, is this what you mean for a different manufacturer ? F18 would be a dream but my bank balance won’t allow it unfortunately. Dart 16 is Rotomoulded plastic...almost unbreakable, no dagger boards but terrible rudders. Not very stiff platform. Hobie 16, old design, no boards, low buoyancy so prone to pitchpoling in a breeze...surprisingly powerful with fully battoned jib, bugger to tack without the jib. Formula 16...proper boat, can be sailed 1 or 2 up with 1, 2 or 3 sails. Look for Viper, Stealth. Spitfire, nice wee boat. sail 1,2 or 3 sails. Formula 18...lots around, powerful, probably a bit of a handful singlehanded but Hobie Tiger / Nacra Inter 18 can be found for not much money. 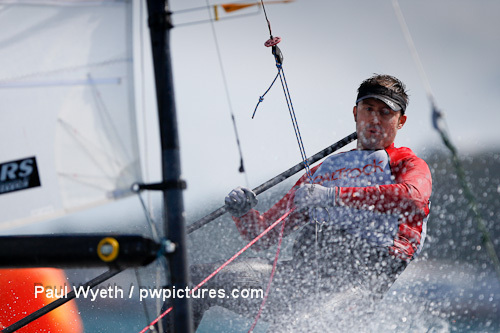 See if you can find a Hobie Fox, not many around but built as a singlehander but could carry crew, also Nacra Inter 17. How often would you be sailing S/H? If more often than not, or you just want to take someone else along from time to time but not racing, look at an 'A' Cat. Best thrill you can have with your clothes on! Plus about 1/2 the weight of the Dart so easy to handle both on and off the water. Left field suggestion but instead of a Cat which are either great for one person or if larger, a handful if you don't have crew especially in a blow, why not look at a trimaran - and specifically a Fun, Fast, Easy, Weta Trimaran which has incredible stability combined with enough buoyancy for three adults and can be easily raced one or two up. Unlike most cats, it can easily be sailed solo in very strong winds (my max raced is 35 knots) because of the stability of the design and still be righted solo if it ever does capsize (it takes about 5 minutes and I've done that in 30+ knots too!). They've survived a 57 knot squall in the freezing waters of Scotland, completed the 300 mile Everglades Challenge and have been raced for 40 miles up river, against the current in winds from 25-37 knots.